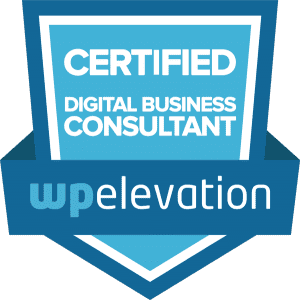 In this episode, I welcome back to the Podcast, Kim Doyal, the WordPress Chick. 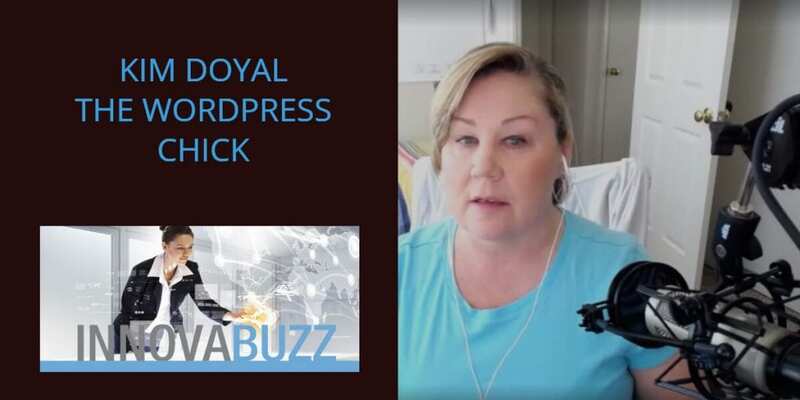 Of course, Kim is well known in the online world – she’s an expert in all things WordPress, runs training workshops and webinars, and she was our guest previously on Episode 52 of the InnovaBuzz Podcast. Recently, Kim has been involved in a new venture called Lead Surveys and we’ll explore that also, today. We talk about content and information marketing, keeping your message consistent and just showing up. Writing a daily email to her list has taught Kim to improve her headline writing and storytelling. Entrepreneurs need to grow all the time, so change is inevitable. It’s important to build your online community. We all want to feel we belong, that we are a part of something. So it is important to present information in a way that makes the audience want to connect. Kim likes to model from others that do this well, and ask the question: why did I click on that? What made me take action? Your community should be about creating relationships, being honest and transparent in a safe space. Having fun is important too! Repurposing content is great, but don’t just regurgitate! The different social platforms have different audiences, so share different content or content styles in the different platforms. Consider who you are talking to. It’s not easy, it takes work, but that’s what you need to do to succeed. You need to show up! Kim measures the effectiveness of her emails in Drip, looking at new subscriptions, opens, unsubscribes and also the responses that she gets. Many people reply to the emails. Lead Surveys is a SaaS application to capture data about your audience at the time they opt-in to your list. So you find out who you are talking to from day one and can segment your list and target highly customised messages to those segments. This way, you can provide a personalised marketing experience. Marketing is becoming more experiential. The best thing Kim has done for her business is share the journey and share what’s working. It’s given her a different perspective on content and what engages with her audience. Here are Kim’s answers to the questions of our Innovation round. Listen to the interview to get the full scoop. #1 thing to be more innovative – Just show up. Best thing for new ideas – Implementing. Every time I implement, I learn something. Favourite tool for innovation – Podcasting. Keep project / client on track – Calendar. Accountability works for me. I love simplifying things. Differentiate – Dr. Seuss – “No one is youer than you.” The only thing that differentiates you, is who you are and what you can bring to the table. I think the easiest thing you can do is the transparency piece. If you make a mistake, own it and find a solution to how you can solve it. You can reach out and thank Kim via The WP Chick Website or Twitter . Kim suggested Phil Singleton of Kansas City Website Design & SEO and John Jantsch of Duct Tape Marketing, and together, co-authors of the book: SEO for Growth, for me to interview on a future InnovaBuzz podcast. So Phil and John, keep an eye on your inbox, for an invitation from us to the InnovaBuzz podcast, courtesy of Kim Doyal. She describes herself as a “proud techno-junkie”. She is about to start a second podcast.